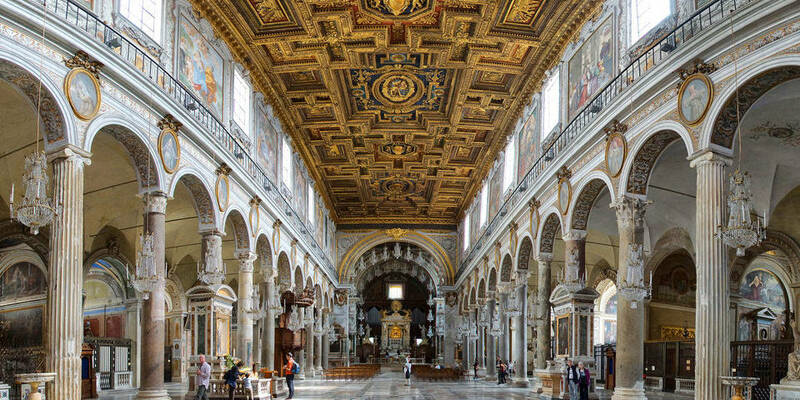 Rome has more than 900 local churches with a marvelous religious architecture. Moreover, churches were built in the city for more than 1600 years with different décor and many of them aren’t less beautiful and historic than museums. 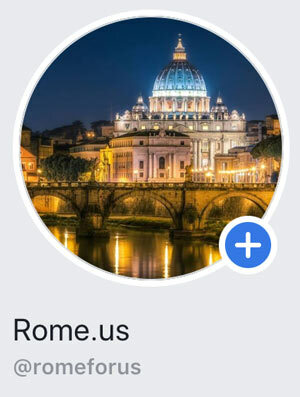 You can find them almost on every corner of the Eternal City and enjoy frescoes, paintings, and the sculptures that you will never find in any other place in the world. However, remember that there is a dress code where you have to visit most of the churches with covered shoulders and knees, especially at the Vatican. Of course, the list will start with the most famous church in the world. 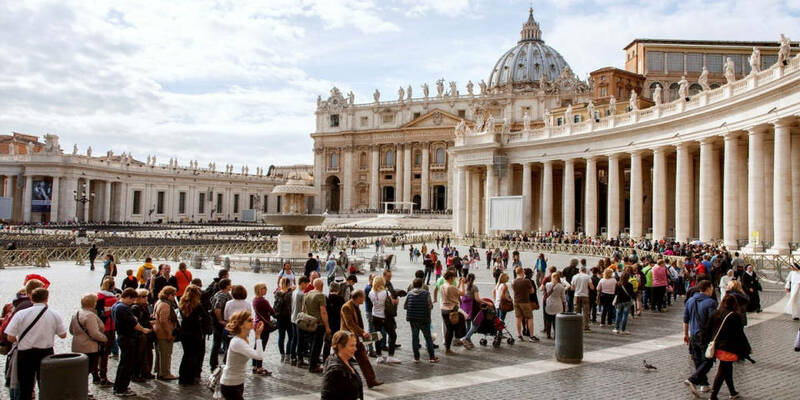 St Peter’s Basilica is a “must see” site during any visit to Rome and everyday there is an endless queue of volunteers who want to discover the church. It is located in the Vatican City, the smallest independent country in the world. Moreover, the design was made by famous artist Michelangelo and is one of the best examples of Renaissance architecture. Additionally, St Peter’s is the home to the tombs of popes and treasury of church ornaments. 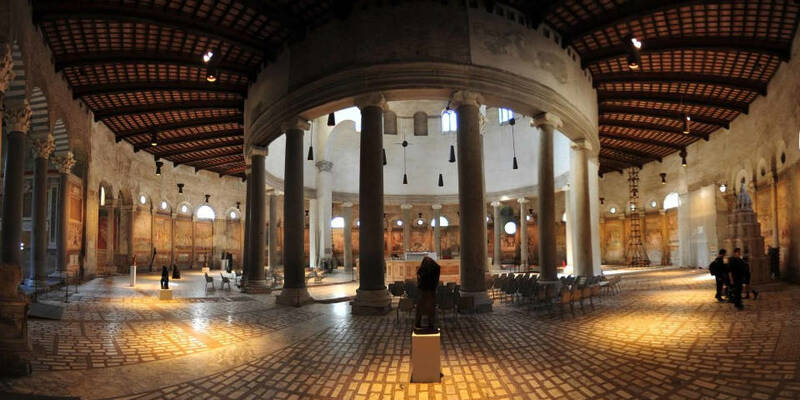 The Basilica di San Clemente is an early Christian basilica dedicated to Pope St. Clement (d.99 AD). The church has three historical layers. It was built above a 4th-century church, where you will find different frescoes. Moreover, this church was built next to a 2nd-century Mithraic Temple and a 1st-century Roman house. During your visit, you can explore the lower two levels with more than 1000 years old frescoes and excavations. 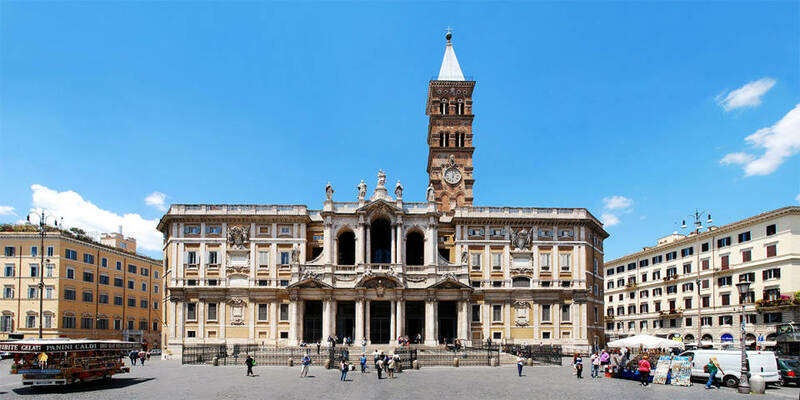 The Basilica di Santa Maria Maria Maggiore is an ancient Catholic basilica, considered the largest of the churches devoted to the Virgin Mary in Rome. There are many artifacts and pieces of art, while the church is full of religious history. Moreover, it has 18th-century façade in Baroque style, the 5th-century mosaics on the triumphal arch and nave walls which depict 36 scenes from the Old Testament. Also, it hasn’t been rebuilt over time and is an impressive example of an Early Christian basilica. Annualny, on the 5th of August, thousands of white petals fall from the ceiling during the Basilica’s Miracle of the Snows celebration, an event devoted to the legend of a miraculous summer snowfall. Constructed in 1099, the Basilica of Santa Maria del Popolo has several chapels and represents the epoch of Renaissance. Moreover, the church considered as the place with greatest masterpieces of Caravaggio, Bernini, and Raphael. 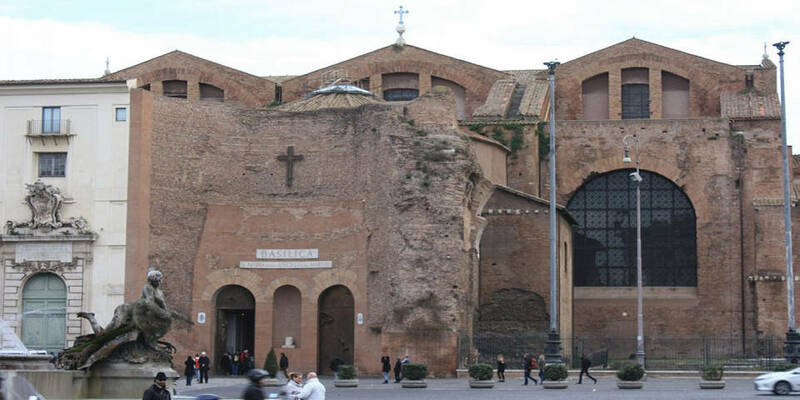 Undoubtedly, the basilica has a fascinating history and originally, it was built in the 2nd century to exorcise the ghost of hated Roman Emperor Nero, which, according to the belief, was haunting the area. 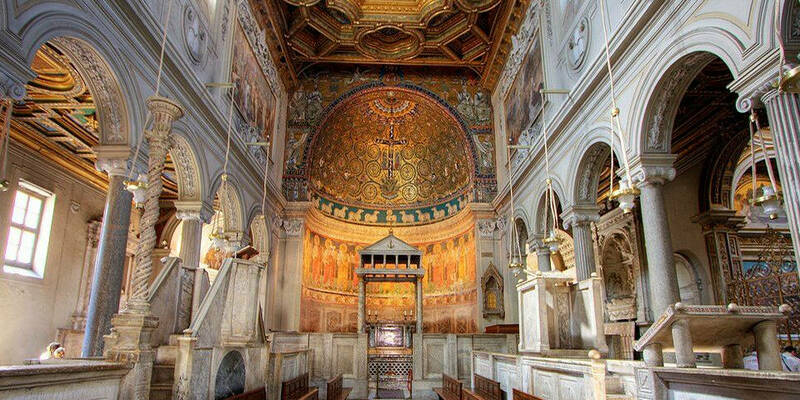 Constructed in 350 AD, Santa Maria in Trastevere is one of the most ancient churches in Rome. The church is famous because of the interior with Byzantine mosaics from the 12th century. Moreover, there are many religious relics and a beautiful octagonal fountain outside the church. 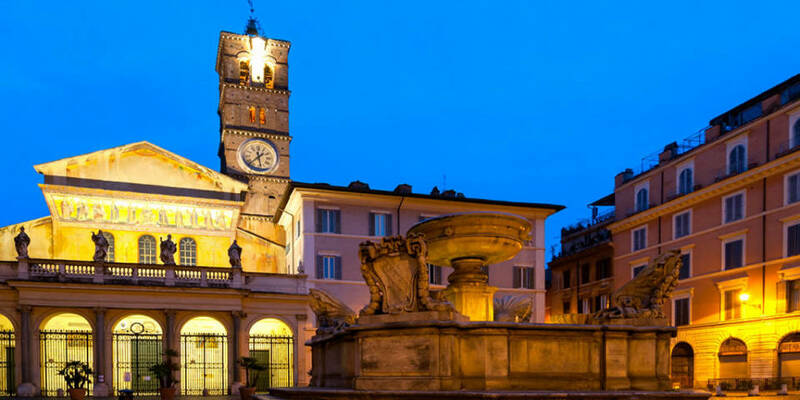 Located at top of the Capitoline Hill, the church is famous for its remarkably plain brick exterior, ornate decoration, and other religious features. It has a mixture of Romanesque and Gothic architectures and three naves with 22 columns, which were taken from various ancient Roman buildings. Moreover, there is a stunning statue of the baby Jesus, made from olive tree wood in the garden of Gethsemane. Santo Stefano in Rotondo located in 10-minutes walk from the Colosseum. Moreover, it is one of few round churches left in Rome. There are different frescoes on the walls with 34 saints who were martyred. The church dates to the late 5th century, but it was subsequently changed in the 12th and 15th centuries. Describing frescoes in 1846, Charles Dickens wrote: ‘Such a panorama of horror and butchery no man could imagine in his sleep, even if he were to eat a whole pig, raw, for supper’. 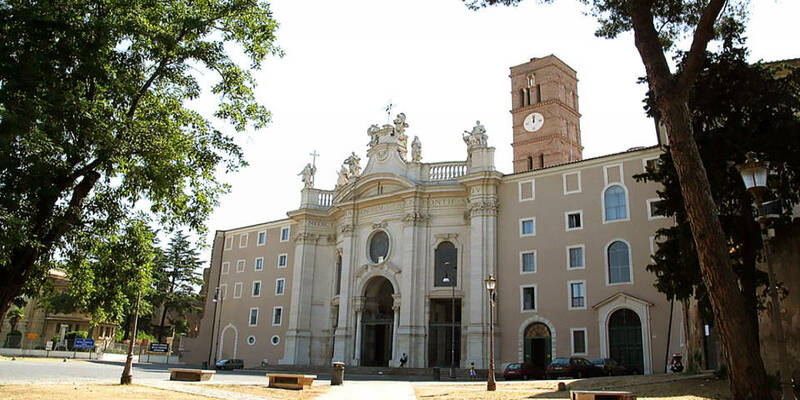 Santa Cecilia in Trastevere is a 9th century church dedicated to 14 years girl, the Christian martyr and patron of musicians. There, you will find the ruins of an ancient Roman house with the underground sacristy where statues of angels looking down from above. This church is marvelous and popular among tourists. Santa Prassede is an early Christian basilica which went through a number of different building stages. 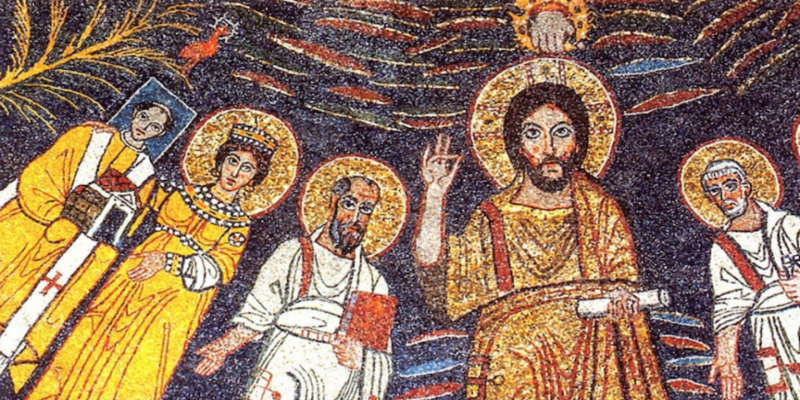 There, you will find mosaics and frescoes that glorify Biblical symbols, events and saints. 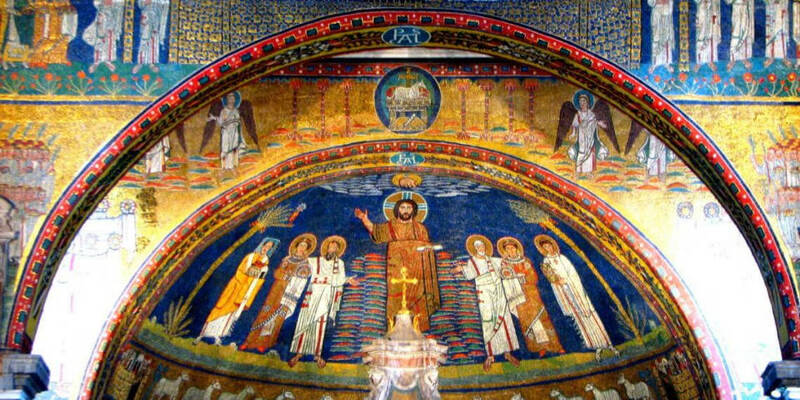 Moreover, there is the Chapel of St. Zeno built by Pope Paschal I as the house for the tomb of his mother Theodora. 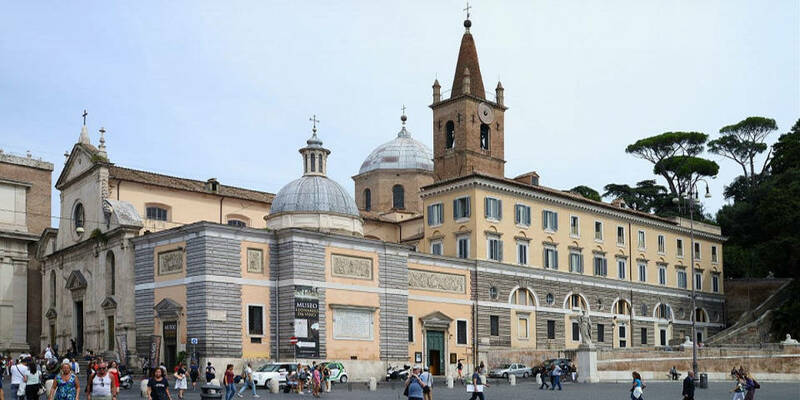 Located in Piazza Republica, the church seems to be a roman ruin from the exterior and is one of the parts remained from the Baths of Diocletian. Moreover, Santa Maria degli Angli e Martiri dedicated to all Christians who died during the construction of the Baths. Importantly, Michelangelo started to design this church, while it was finished by Jacopo Lo Duca, who is the student of Michelangelo. Nowadays the church hosts prestigious weddings and funerals encouraged by the state. Built between 1502 and 1519, the church nowadays is one of the most popular sites among tourists. 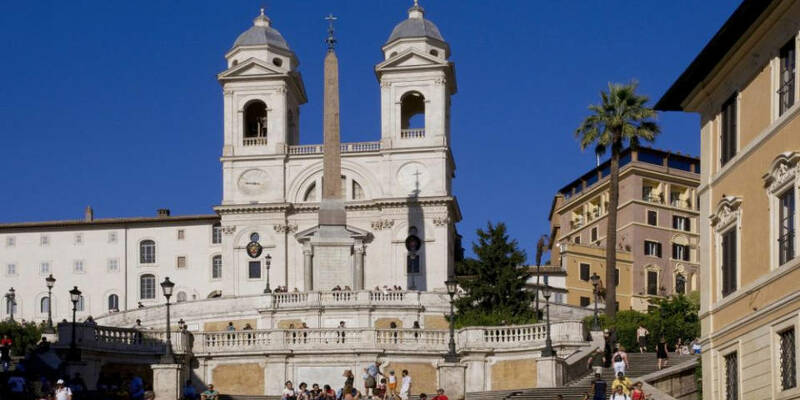 Moreover, it has a great location right near the Spanish Steps, but it is a French church. There is the roman obelisk in front of the church which creates a link between Trinita dei Monti and the stairwell. Additionally, the obelisk dates back to Imperial age from the Garden of Sallusto. Inside are some famous works of art, most notably the Deposition fresco by Daniele da Volterra and the fresco cycles by the Zuccari brothers. Basilica of Holy Cross in Jerusalem, located in the Esquilino quarter, is an example of Roman architecture at its finest. It was founded by the Emperor Constantine in 320 and there you will find works of Pannini. Moreover, the Basilica of the Holy Cross is part of the route of the “Seven Churches” that ancient pilgrims used to visit on foot. Churches in Rome are full of marvelous works of art. There, you’ll find masterpieces by some of the famous masters – Michelangelo, Raphael, Bernini, Caravaggio, Sansovino, Filippo Lippi, and many more unnamed masters of mosaic art, fresco painting, and stonework from Medieval and earlier eras.